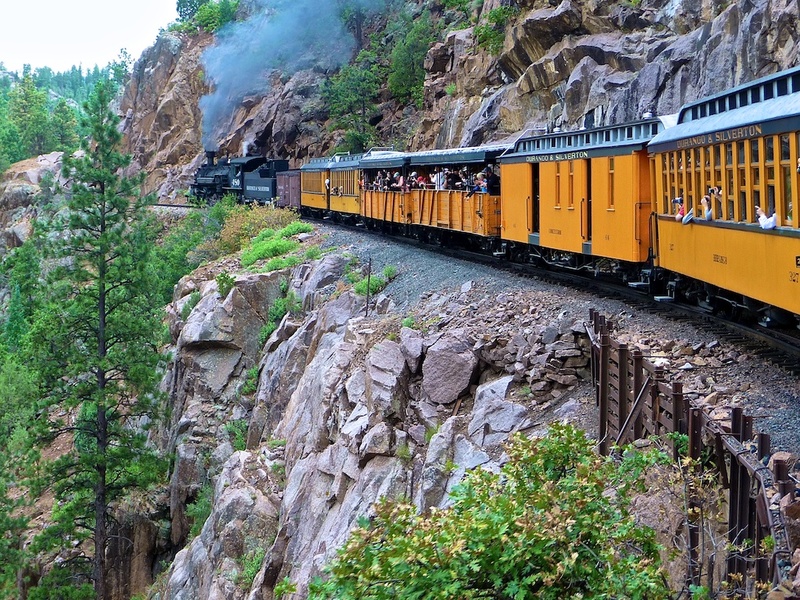 The Durango to Silverton narrow gage railway has been carrying tourists through these Colorado mountains for more than 130 years. 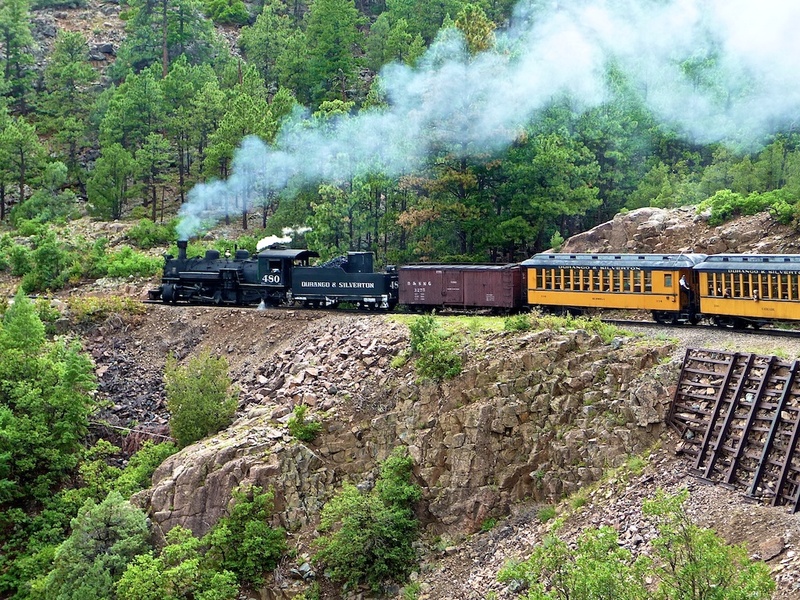 Originally built to haul silver and gold ore from the high mountain mines, it has long since only been operated to share the scenic views. The coal fired vintage steam engines are a treat for the eyes, ears and nose. There are some scary spots on the route where there seems to be very little to support the rails, and rock slides are a constant danger. But, it’s a fun trip. Thanks Gary. All i took on this ride was my point-and-shoot. I knew I would regret it, but just didn’t want to be saddled down that day. It’s usually not about the camera, but about the person behind it. I still love it!